Are you looking for an experienced and qualified provider to carry out an Australian standard lifting equipment inspection? Do you need high quality lifting and safety equipment? Then look no further than All About Lifting & Safety. We have a combined 80 years of industry experience and are certified to perform your Australian standard lifting equipment inspection. As part of your Australian standard lifting equipment inspection you will need a company whose personnel have undergone training, education and have extensive field experience. They need the appropriate knowledge and skills to ensure the safety of your team and workplace. Safety isn’t something to be taken lightly, and All About Lifting & Safety knows and appreciates this. We are not only highly experienced in safety inspections, but supply quality safety and lifting equipment we know meets the highest Australian standards. 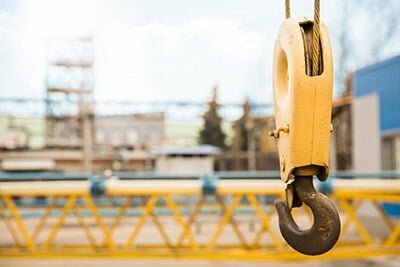 Here at All About Lifting & Safety, we provide you with a certified Australian standard lifting equipment inspection for your equipment. Our personnel have undergone the education, training and experience required to ensure the inspection is done thoroughly but with the least inconvenience. Our technicians have been exposed to the different aspects of inspecting lifting equipment, in a wide range of conditions and situations, so won’t unnecessarily hold up your operations. We will ensure you can get on with your job, quickly and safely. Our employees at All About Lifting & Safety are suitably trained according to the requirements of law. They have the knowledge and practical experience that are required to carry out an Australian standard lifting equipment inspection. Through this, we can identify the standards, testing, inspection and features that each type of equipment should meet. To learn more about the Australian standard lifting equipment inspection that we can offer, give us a call now! We are ready to answer any of your questions and assist with providing high quality lifting and safety equipment. You and your team’s safety is in good hands with All About Lifting & Safety.